Get ready for Disney overload, guys! Now, I'm going to try not to get overly mushy here, about Disney being the most magical place on Earth (but for the record... it totally is). 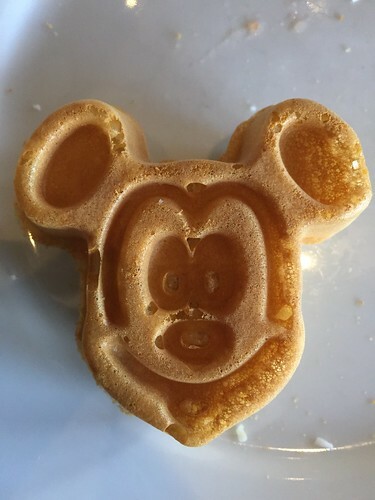 For the seventy-eight or so days leading up to our venture, I was making endless lists of the most magical treats to eat at the parks and nearby resorts. And while there wasn't nearly enough time to try everything, you can bet I have some tasty treats in mind, for our next trip. But for now, these five made it to my "fab" list. 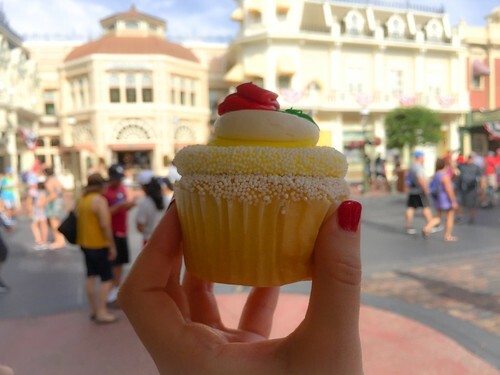 We were craving a sweet treat during our adventures in Magic Kingdom, so we took a stroll through the Main Street Confectionery, where we found this pretty Beauty and the Beast themed "Belle Cupcake". 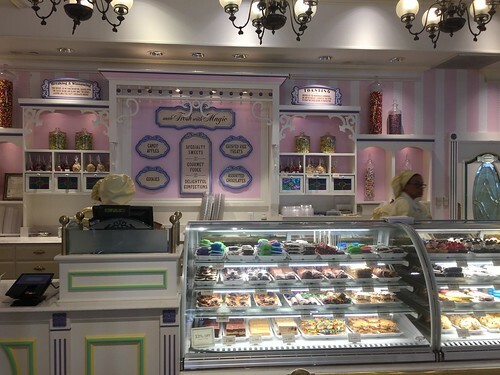 With the sprinkles, pearls and rose icing, it was almost too pretty to eat. Almost. 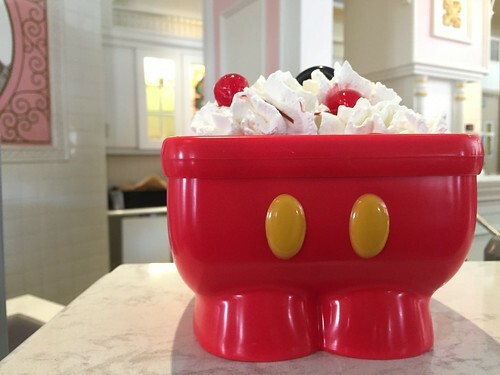 No trip to Disney would be complete without Mickey-themed snacks. 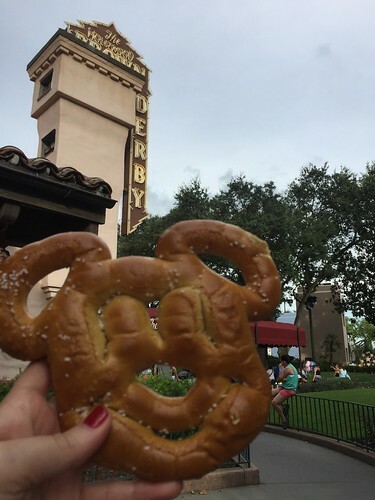 We found this Mickey pretzel at one of the snack carts in Hollywood Studios. We incorporated it as part of our well balanced dinner (pretzel in one hand and cheese dip in the other, of course). 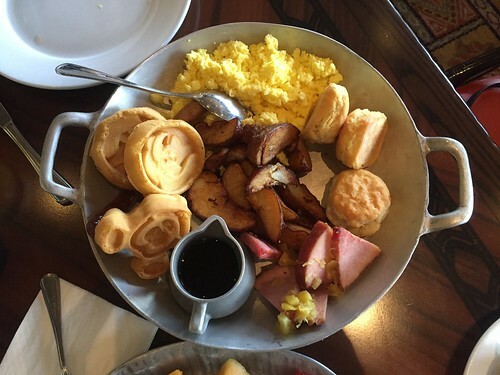 And on the last morning of our stay, we ventured over to Ohana at the Polynesian resort for a true family-style feast, complete with Mickey face waffles. 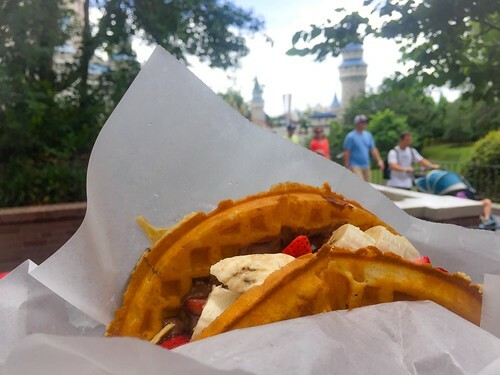 On a slightly sweeter note, I continued the waffle-crawl experience by starting the morning off at Magic Kingdom with a Fresh Fruit Waffle Sandwich from the menu at Sleepy Hollow.